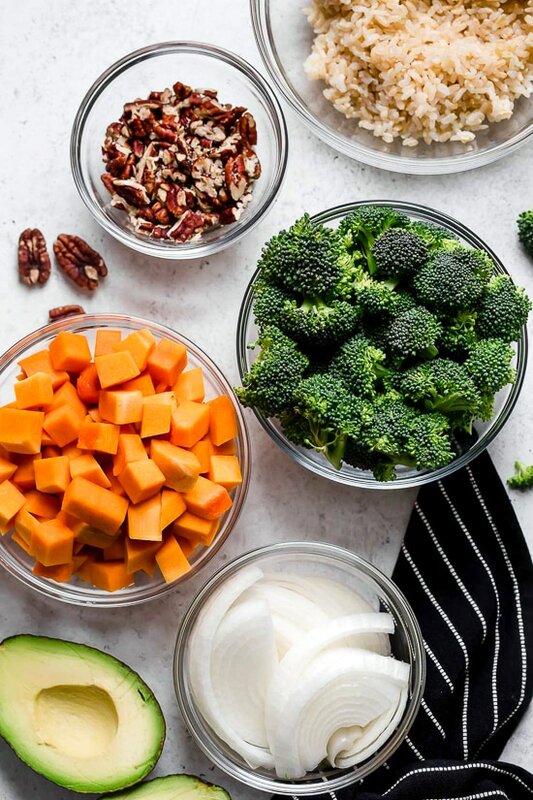 Hi there, I’m Heather K. Jones—I’m a dietitian, the nutrition expert for the Skinnytaste cookbooks, and the founder of the weight and wellness program, Feel Better Eat Better. And right now, I’m hosting a totally FREE Feel Better Eat Better video workshop for women who struggle with emotional eating, overeating, or food or body image issues, and I hope you’ll join me!You can sign up for my FREE workshop by clicking RIGHT HERE. I love sharing what has helped me and my clients build healthier and happier lives! 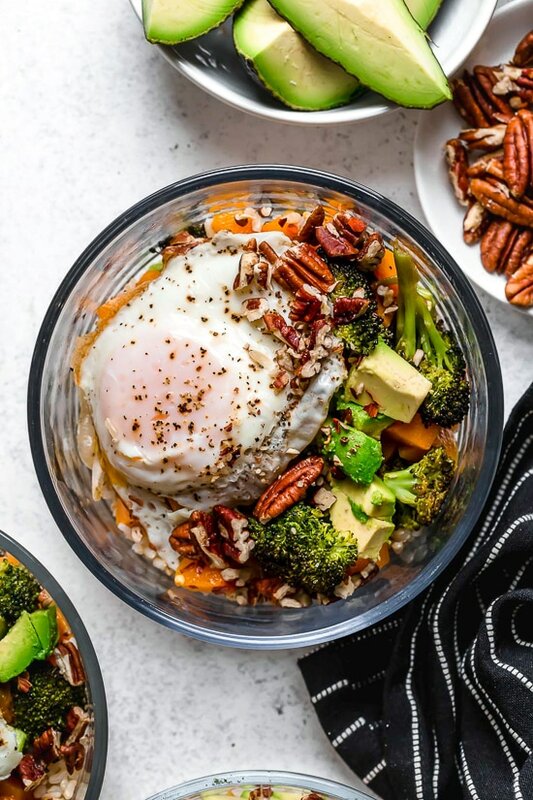 There are endless combinations of “Buddha Bowls,” healthy dishes made with whole foods such as raw or roasted veggies, whole grains, beans, eggs, and nuts and seeds, but this one is an all-time favorite. 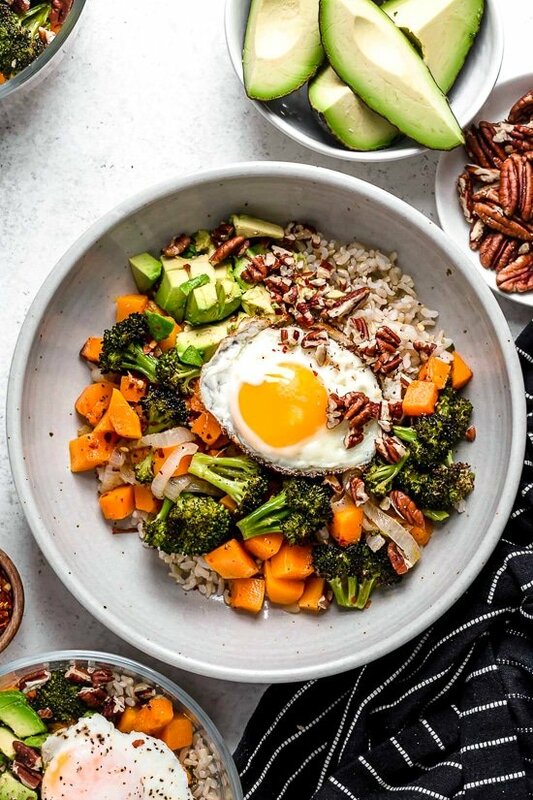 Roasted broccoli, butternut squash, and onions are piled on top of whole grain rice (for easy prep I used Trader Joe’s frozen rice) and topped with sliced avocado, a sunny-side fried egg, and crunchy pecans. If you roast the veggies ahead of time, this dish comes together in just minutes. This is my go-to no-fuss lunch or dinner, when I want something super healthy, but don’t have a lot of time. Oh. My. Goodness! 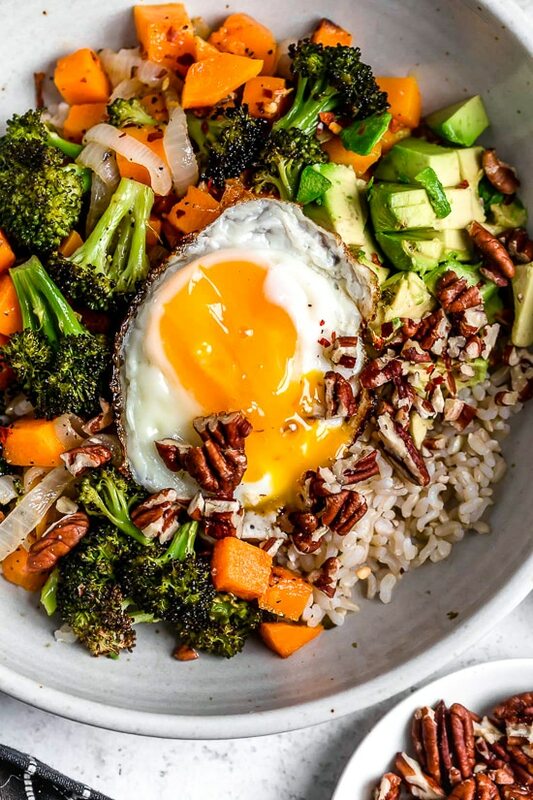 I cannot believe how good the brown rice, pecan, avocado and egg combo is! Yes, broccoli and squash was good too, but I was floored by how good it all was together. A favorite for sure! Oh. My. Goodness! 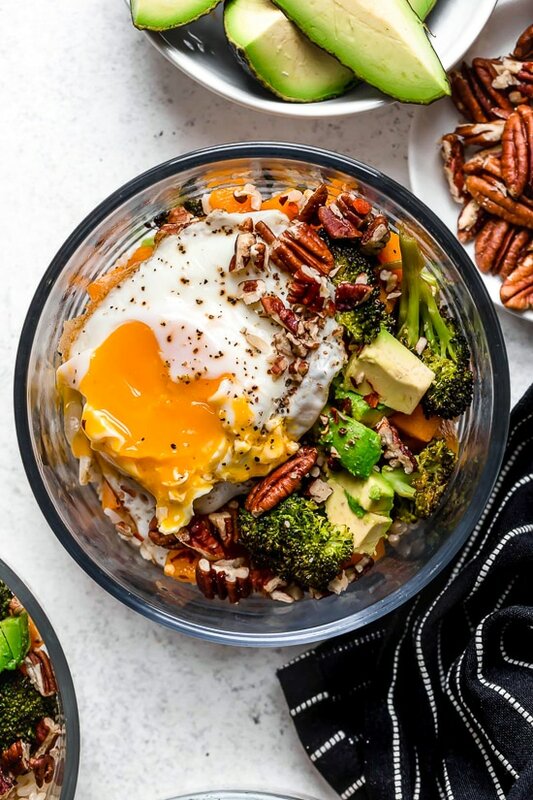 I cannot believe how good the brown rice, pecan, avocado and egg combo is! Yes, broccoli and squash was good to, but I was floooby how good it all was together. A favorite for sure! Omg this is the yummiest! I made it exactly as written except subbed brown rice for wild rice bc that’s what I had and this is ssooo good. Make it right now! DELICIOUS!!! Surprisingly flavorful. Added a drizzle of Hot sauce for kick. Even my pickiest 11 year old ate every bit right up. Will definitely be making this often. Wow! This was so great! I took this recipe to work 4 days this week (no egg) and it was such a lovely, filling meal. It reminded me of Chinese takeout in the best way! Amazing!! Made a big batch this week and will be putting it on the weekly rotation!!! I made this earlier this week and am already prepping a second batch. I made mine with poached eggs and added a little bit of Trader Joe’s Zhoug sauce and a little bit of Trader Joe’s Mango Sauce. I left out the pecans and upped the amount of veggies. I ate this every day this week cold for my lunches and it was perfect! This was SO GOOD! We will definitely be adding this to one of our staple weeknight dinners. We added some cinnamon, turmeric, cayenne pepper and paprika to our roasted veggies for a little kick, and sriracha over the top! Thank you for such an easy yet amazingly delicious dish made with so few ingredients.. I wasn’t sure how my family was would like this since butternut squash is not something I had roasted before (I’ve disguised in soup with potatoes). But they really enjoyed it. I had made two sheet pans worth and we ate it for lunch and another meal. I served the one with some roasted chicken breasts & soy sauce and another as a salad. I’m making another batch of broccoli and butternut today. 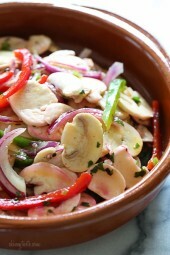 Quick, easy and yummy! Typically I don’t like my eggs runny so I made mine over med. almost wish I had done it over easy so that I would have more “sauce” to blend the ingredients with. Hi Gina, I’m not a runny egg person. I’m assuming the egg acts like a kind of sauce for this. Do you have a sauce that might be good for this? Sriracha if you like hot sauce! 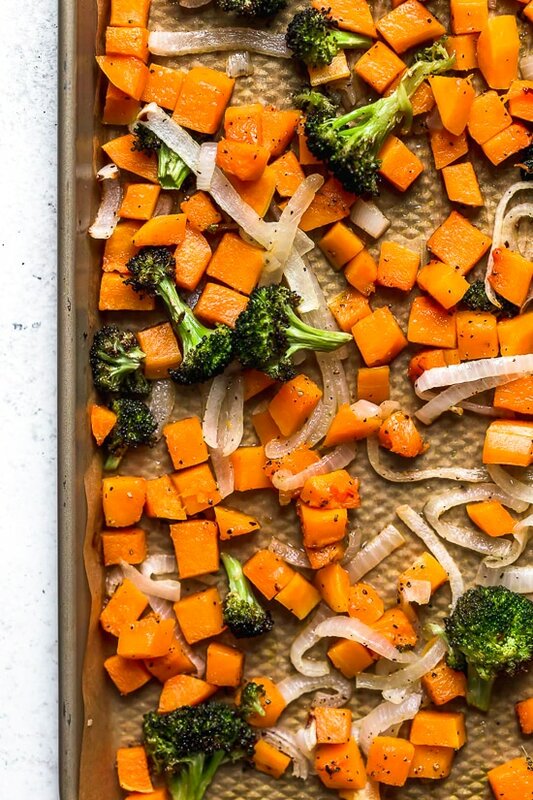 If you meal prep the roasted veggies before-hand, how do you recommend reheating them when time is of the essence? I had doubts…simple ingredients….how good could this be? But I had all the ingredients except pecans on hand, and it was really, really good.. I added a little siracha sauce to the cooked rice. 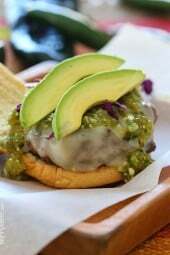 Next time I’ll add a chopped roasted poblano pepper, but it’s even good without any additions. 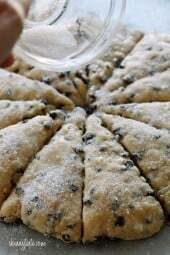 I could eat this and it’s endless variations every day! My kind of food I am finding. As easy to do for one as more, and can use up all sorts of left over items. This was delicious and so filling! I added a little Siracha sauce on top. I’m not sure what “whole grain rice” is? Is it labeled as such in the rice isle? Or do I need to go to a specialty store? Such as brown or wild. Made this tonight. My daughter asked for seconds. Really delicious and simple. This looks really good. I’m not a big fan of butternut squash, What could I substitute for the same effect? I agree with the sweet potato suggestion, and I’d also consider another root vegetable like carrots or parsnips. This looks absolutely delicious!!!! But, what size is the “bowl” serving? I can’t wait to try this!!!!! Sure! Cut the avocado just before serving, wrap the rest tight. Thanks for the great tip. I would never have thought of this.